We are a Christian Based Company striving to show the love of Christ through SERVING. 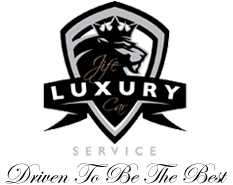 Each year JIFE Luxury Car Service donates at least 50 hrs a year of rides back to our community through Non-Profit Organizations. Ranging from picking up an elderly church member to going to a doctor's appointment to serving a family who's child may have cancer and need a ride to/from the hospital for treatments. We find joy and fulfillment in serving others in this compacity. If you know any individual(s) of a non-profit organization who can benefit, please click on the contact button and fill out the information. Any additional information may be added in the box. Someone will contact you via email or phone. This service will be available until ALL of the hours have been depleted.